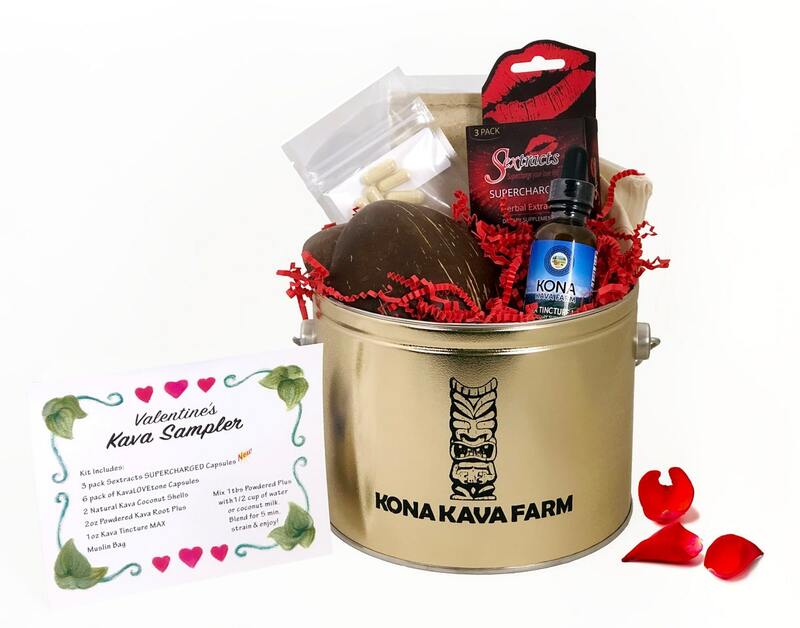 Our Valentine’s Day Kava sampler pack is a perfect and unique gift. Kava provides relief from everyday stressors and anxiety, which allows you to relax and enjoy the day with the one you love. There’s a 5-minute Crash Course in Kava to help you use your new Kava Sampler Pack that comes in a collectable tin with the Kona Kava Farm Tiki God.